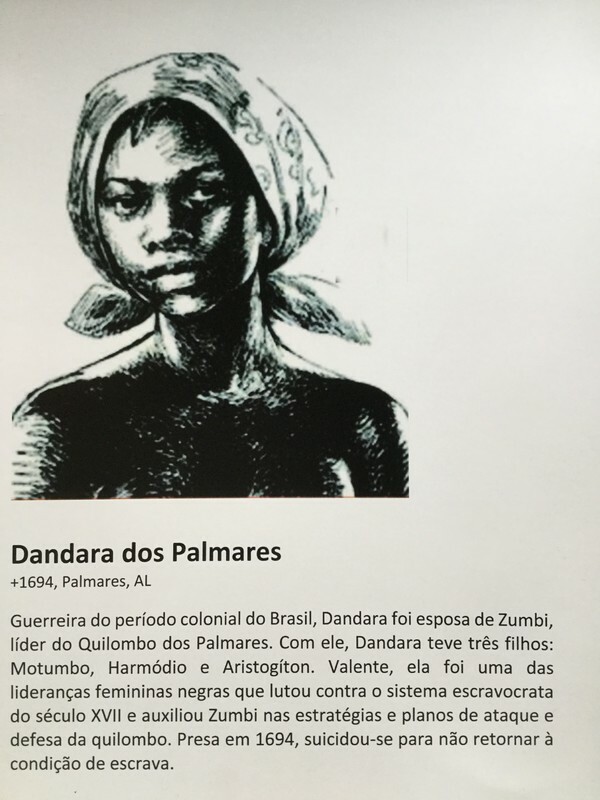 translation: A warrior in the colonial period of Brazil, Dandara was the wife of Zumbi, the leader of the Quilombo of Palmares. With him, Dandara had 3 children: Motumbo, Harmodio, and Aristogiton. Valiant, she was one of the Black women leaders who fought against the system of slavery in the 17th Century and helped Zumbi in the strategies and plans of attack and defense of the quilombo*. Captured in 1694, she killed herself as to never return to the condition of a slave.